Waterford FC fell to a 3-0 defeat against St Patrick’s Athletic in Richmond Park on Friday night. Waterford FC return to league action this Friday with a trip to Richmond Park to face St Patrick’s Athletic in the Premier Division. Waterford FC is delighted to announce the creation of a new Junior Blues Academy in partnership with WIT starting this September 14th. 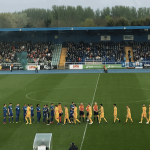 Bastien Hery's struck early to secure Waterford FC's passage into the quarter final of the Irish Daily Mail FAI Cup after a 1-0 win over Drogheda United. Waterford FC return to Irish Daily Mail FAI Cup action this Friday evening with a trip to face promotion chasing Drogheda United in United Park. Waterford FC widened the gap to 4th place with a brilliant 2-1 win away to Derry City on Friday night. Waterford FC will be hoping to build on last weekend’s FAI Cup win with a trip to face Derry City at The Brandywell this Friday. 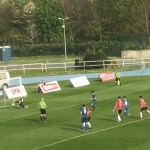 Noel Hunt scored a hat-trick as Waterford FC advanced to the Second Round of the Irish Daily Mail FAI Cup after a 4-1 win against Skerries Town. Waterford FC fell to defeat at the hands of Cork City on Friday night in a 2-1 scoreline at the RSC.